Is Magento suitable for B2B companies? Magento is the eCommerce software and platform trusted by the world's leading brands. But is it really suitable for B2B companies as well? Ecommerce is, in many cases, a driving marketing force in terms of sales and brand awareness for many companies, B2C and B2B. And Magento, indeed as a worldwide leader in the ecommerce field, offers some really great features in the standard webshop configuration. However, we found that to link properly with companies that are geared towards B2B, there are a number of features that need to be added to the Magento workflow. Over the years, many different modules have been created to help Magento connect with a proper B2B workflow. ERP connections, smart marketing tools and financial modules. The last couple of years we have been working on a missing feature that is essential for B2B companies; a Request For Quote functionality. We wanted to have an 'Add to Quote' button that works seamlessly with the famous 'Add to Cart' button. So, that's exactly what Cart2Quote is nowadays.  Our feature offers B2B companies a Magento-based interface, frontend and backend, that enables both clients and companies to work with tier prices and quotes, all within the regular Magento workflow, but enabling B2B companies to offer their clients what they might expect. Are you looking at Magento but not sure whether it answers to the needs of your B2B company? Our Cart2Quote feature will be of great help to you! 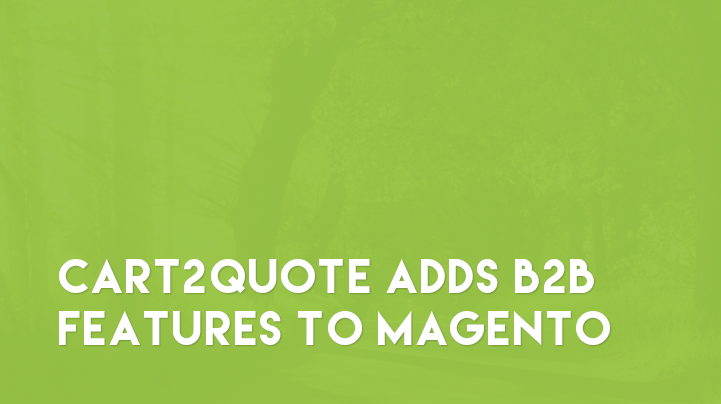 Discover here why Cart2Quote is the perfect Magento B2B feature!